Eating out in Sidmouth now has a exciting new addition, with the launch of our Horizon Restaurant at the Belmont Hotel. With fantastic views over the bay, the Horizon Restaurant has been designed to create an airy, stylish and contemporary feel – and offers you one of the very best places to eat in Devon. The cool, fresh theme is inspired by the huge success of the White Room at our sister hotel, The Victoria. The atmosphere is relaxed and convivial, whilst the customer service is of the same superb standard you can always expect from Brend Hotels. Drop in for lunch or afternoon tea - or come and spend a memorable evening here, lingering over a fabulous meal. In the evening, you can choose from our hotel’s famous Table d’Hote menu or the inspiring new Horizon menu. This offers tempting dishes such as pan seared scallops with crisp pancetta, samphire and a sweet chilli and basil oil, and superb main courses such as seafood linguini and Creedy Carver duckling, as well as traditional seaside favourites like battered fish and chips. Unlike our smart Silver Service main restaurant, where guests are asked to wear a jacket and tie, there is no dress code at Horizon. So make the most of those evenings when you feel like a more casual dining experience, while taking in some glorious coastal views, and enjoying one of the best restaurants in Sidmouth. 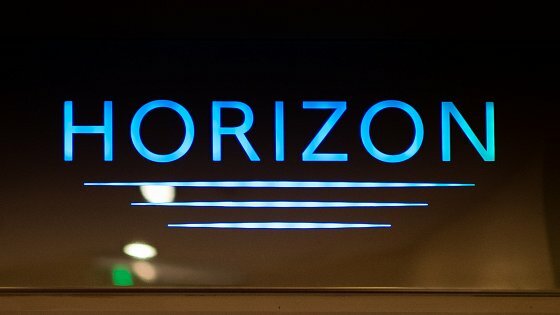 Take a look and see the wonderful selection we have for you at Horizon. We also have a table d'hote menu with starters, mains and desserts which change daily. Why not indulge in a traditional afternoon tea during your stay with us. View the menu for more. A table d'hote menu with starters, mains and desserts which change daily.